A newly-adopted NY City Health Code amendment that subjects bris milah to government regulation has galvanized New York’s religious community to take the extraordinary step of challenging the law’s constitutionality in federal court. The amendment aims at banning metzitzah b’peh (mbp) by forcing parents to sign incriminating waivers before the ritual can be performed, and coercing mohelim to betray their faith with statements maligning mbp as life-threatening to newborns. Major organizations representing the full spectrum of New York’s religious communities – from Chasidic to Litvish to Modern Orthodox and various shades in between – have joined ranks in filing for a preliminary injunction against the law in the Southern District of New York, under Judge Naomi Reice Buchwald. This is the first move in a legal strategy that aims for a permanent injunction – a ruling that will in effect declare the Health Code amendment unconstitutional. Uniting as plaintiffs in the court action are the CRC (Central Rabbincal Congress of the USA and Canada) representing Satmar communities; Agudath Israel of America; and the IBA (International Bris Association), representing Lubavitch. The mohel plaintiffs are Rabbi Samuel Blum, Rabbi Aharon Leiman and Rabbi Shloime Eichenstein. The lawsuit marks a sweeping solidarity among communities whose ideological differences often run deep, tending to overshadow their core unity. The unprecedented government intrusion into bris milah has driven that unity to the surface. Filed in federal court on Oct. 11 by the acclaimed Jones Day law firm, the action against the City came after efforts by Jewish leaders to negotiate with city officials at a special meeting in September were spurned. They included senior Agudath Israel officials and Rav Yisroel Belsky, rosh yeshiva of Yeshiva Torah Vodaath, had asked for a postponement on the Board Of Health vote on the anti-metzitzah b’peh amendment. They wanted an opportunity to demonstrate to city officials the unreliability of the health report that gave rise to the controversial amendment. That inflexible stance along with the impending crackdown on bris milah sparked an international outcry, with rabbinic authorities in the United States, Israel, Canada, Belgium, Britain and Australia uniting in condemning government intrusion into Jewish observance. They issued impassioned letters and a kol koreh bearing the signatures of the Torah world’s premier leadership, urging New York’s Jewish residents to oppose the city’s assault on Jewish ritual. The amendment – and the unreasonableness and intransigence in which it was being pitched by the government – was viewed by Torah leaders across the world as setting a dangerous precedent that threatens bris milah everywhere. If government designs against mbp in New York City were to prevail, it was felt – in spite of the region’s strong Jewish presence and political will – it would likely embolden circumcision foes to mount campaigns against bris milah just about anywhere. Forging ahead with its plan, the Board of Health on September 13 passed the amendment, announcing its enforcement beginning October 21. The NYC law will compel mohelim to obtain written informed consent from parents prior to performing a bris with metzitzah b’peh. The law requires mohelim to advise parents that the DOH advises that mbp is a dangerous practice and could likely kill their baby. “[Mbp] should not be performed because it exposes an infant to the risk of transmission of herpes simplex infection, which may result in brain damage or death,” the consent form will state. In response to this unprecedented assault on religious practice, leaders of New York’s diverse religious communities joined forces, consulting with top legal experts and pooling resources and expertise. They hired one of the most brilliant and dynamic legal teams in the country to challenge the Health Code amendment in federal court. One of the first moves by Jones Day attorneys Shay Dvoretzky and Yaakov Roth was to hammer out a negotiated agreement with the City to stay the law’s enforcement until November 14, the date of the federal court hearing. This was followed by the filing of the lawsuit in federal court, in which the attorneys argued that the amendment violated the First Amendment rights of the plaintiffs in two ways; by encroaching on their religious practices and by compelling mohelim to voice statements they utterly reject. The brief argues that the basis for the DOH’s incursion into religious freedom is factually wrong. The study used by the DOH to support the amendment, which found that mbp poses an additional risk of transmission of herpes simplex virus, actually shows the opposite, the lawsuit contends. Mbp poses no greater risk than that which exists in the general population. The brief also questioned the bizarre situation in which the DOH amendment reveals a fixation with “protecting” the minuscule number of male infants from religious families from contracting herpes (by outlawing mbp). What of the much larger combined group of herpes-infected newborn baby girls and non-Jewish babies? Where is the DOH’s corresponding “compelling interest” in protecting these infants? Where is their concern for tracing the source of infection in this group? Should we not be seeing a parallel campaign by the DOH to alert parents and caregivers to important hygienic and safety measures that would protect all infants? The DOH’s exclusive focus on baby boys from religious families, and its glaring neglect of risk factors other than mbp, is increasingly suspect. With legal events unfolding so swiftly and headlines about the lawsuit appearing during the Yomim Tovim, a good portion of the religious public has remained largely in the dark about these developments. To raise community awareness, a press conference was called Monday, at which representatives of CRC, Agudath Israel and IBA, the organization plaintiffs in the lawsuit, gathered with correspondents from an array of religious news media to provide background and updates on the case. All frum news outlets were invited to send representatives. In addition to Yated, correspondents came from Mishpacha; Hamodia; Agudah; Chabad.org; Der Blatt; Der Yid; Kol Mevaser; VIN; COLLive and YeshivaWorld News. Sharing the dais at this unusual press conference were Rabbi Gedaliah Weingerber, Chairman of the Board of Agudath Israel, Rabbi Chaim Dovid Zwiebel, Executive Vice President of Agudath Israel, Rabbi Moshe Dovid Niederman, spokesman for the CBC (Satmar) and Rabbi Levi Heber, founder and president of the IBA (Chabad). These individuals, representing the organization plaintiffs in the lawsuit – and by extension, New York City’s vast religious population – shared their roles and perspectives with the assembled. The profound impression conveyed was that in standing shoulder to shoulder to protect the inviolateness of bris milah, a remarkable unity had replaced divisiveness, and in that unity lay great strength. Joining these organizational leaders at the conference were three expert witnesses, Dr. Brenda Breuer; Dr. Avi Federgruen and Dr. Dan Berman. Each has authored an affidavit bolstering the lawsuit’s argument that the medical report on which the amendment banning mbp is premised – supposedly proving the dangers of the practice – is deeply flawed and misleading. Unreliable and inaccurate conclusions were arrived at by using skewed data to vastly underestimate the number of babies who undergo mbp each year, as well as underestimating the incidence of herpes in the general population, explained Professor Avi Federgruen of Columbia University’s School of Business. Dr. Brenda Breuer, an epidemiologist at Beth Israel Medical Center, gave a lucid presentation showing how the five herpes cases cited by the Medical Report published the CDC (Center for Disease Control) conform to the incidence rates in the general population. In other words, they prove nothing. Contrary to DOH claims, she said, the five cases – a sample far too tiny to draw conclusions from – do not demonstrate any statistically significant correlation between mbp and herpes. “The DOH has used strategies that capitalize on chance in order to prove significance,” she said. In addition, they omitted a time frame in selecting cases for their study, randomly using a late-occurring case to increase the numbers, in order to support a desired conclusion. The misleading numbers erroneously suggest that the five cases indicate a significantly heightened risk posed by mbp. Dr. Dan Berman, Chief of Infectious Diseases at Westchester Hospital, for years has been virtually the lone voice of sanity about mbp in a medical establishment cowed into collusion with the DOH. He further collapsed the credibility of the medical report. Noting that the report equates “probable” causation with “confirmed” causation, he proved that three of the five cases that constitute the lynchpin of the medical report fall apart under scrutiny, and should not have been included as evidence. “I see no evidence for the transmission of HSV through mbp, he said. With the data in the CDC’s medical report discredited, the brief argues, the Department of Health’s allegations against mbp crumble. The encroachment on the free exercise of religion and of speech – based on the DOH’s proclaimed “compelling interest” to safeguard the public health – is thus constitutionally wrong and must be reversed. Attorney Yerachmiel Simins, the driving force behind the landmark alliance among Satmar, Litvishe and Chabad communities, chaired the press conference. Simins’s involvement in the cause pre-dates the current confrontation with the Department of Health. He served as counsel for a number of mohelim and others targeted for investigation and harassment by the Department for their alleged practice of mbp over the past seven years. Simins was active in working out a 2006 Circumcision Protocol with the NY State Health Department. The terms agreed upon called for an unbiased investigation of not just the mohel alone, but all those who may have had contact with a herpes-infected newborn, in exchange for rabbinic and community cooperation. The protocol called for banning the mohel from performing mbp if he’s found to be DNA-matched to an infected infant. It was unanimously passed by the NYS Public Health Council and adopted by every health department in the State of New York. Except New York City’s. The City’s new regulation has worldwide implications, Simins told reporters. NYC is being closely watched to see whether restrictions on bris milah can be passed in what is in effect the capital of diaspora Jewry. Already, the Israeli pediatric association has cited New York’s “informed consent” amendment to call for the banning of mbp in Israel. Letting “informed consent” stand may fuel attacks against bris milah currently underway in Europe and other cities in this country. City action against mbp is having a chilling effect. Some heimishe people are now considering foregoing mbp, and mohelim say that clients who are moderately or minimally observant are canceling brissen and opting for hospital circumcisions (even though these take place less than the required 8 days after birth). The City says mohelim kill babies; why would uninformed parents opt for a traditional bris in the face of this libel? In rejecting the protocol, refusing to conduct unbiased investigations to determine the true source of herpes infections in newborns, and blindly holding the mohel responsible, the DOH has tipped its hand. Its intransigence appears to mask not only a callousness to the Jewish community, but a sinister view of mohelim – and by extension the people who defend them – as baby killers. As a result, the Department has destroyed the confidence and trust of a substantial part of the community it was appointed to serve. A surprise guest at the press conference shared an experience that crystallized the religious community’s growing perception of the DOH as a hostile adversarial body. That presentation was given by Mrs. S., the mother of a baby whose herpes-related death was falsely cited in the CDC’s medical report as having been caused by mbp. Mrs. S.’s harassment at the hands of the DOH has been described in a previous article in the Yated. In this sequel, shared with attendees at the conference, she recounted a fresh ordeal endured just a week ago with her 3-week old newborn baby boy. Her gripping story, which will appear next week, offers poignant testimony to the mounting assault against ritual bris milah in the medical community, spurred on by the DOH. This is not an assualt on bris milah! This is an issue of protecting our newborn boys from G-d forbid contracting a virus that could cause brain damage or death. If you did your research, you would understand that metzitzah b’peh is completely unnecessary for a kosher bris. Yes, it’s been practiced for thousands of years but now we know that there are very serious risks involved. Think about if it were G-d forbid YOUR newborn baby that contracted herpes from a mohel and died. Can you honestly say that if you had a chance to do things differently you wouldn’t? 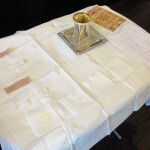 Pikuach Nefesh is a basic principle in Judaism. The city is not questioning bris milah, they are making parents aware of the serious risks of metzitza b’peh by requiring them to sign consent. What did you expect. This is the new wave of liberal thought from Bloomberg up to Pelosi, Reid, Heinrich Schumer and Obama. First it was an attack upon the Catholics and their beliefs and now is this, and do not forget that the boycott of the Chicken place had the full support of those liberals in powers such as Menio of Boston and Emmanual of Chicago. What it is now the government is saying you do not have the right to belive as you religion states and you cannot practice your religion as you see fit but we the government will determine that. Next will be the attempt to censo the Chumash because it is not politically correct andoffends some people. Expect more of this if these left wing libeals like Obama and Dingle are reelected. Congressman Dingle has stated the eventual plan is to control the American public. Obama has planned also to give over American soveriegnty to the UN in the form of Agenda 21. Since this administration has taken office we have seen an unprecedentyed attacks on the Constitution and the Bill of Rights which has been supported by those who hate America like George Soros and the United Nations.